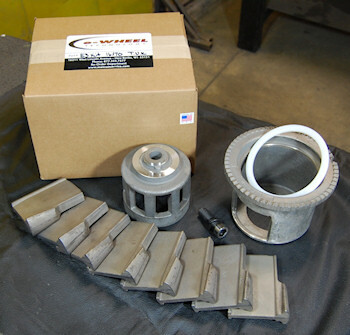 Blast Cleaning Technologies offers a large selection of Tune Up Kits for the all makes and models of shot blast wheels. Our kits are in stock and can be ordered and shipped the same day. We also stock tune up kits for RLM™, BD™, Autoblast and EZEFIT™.